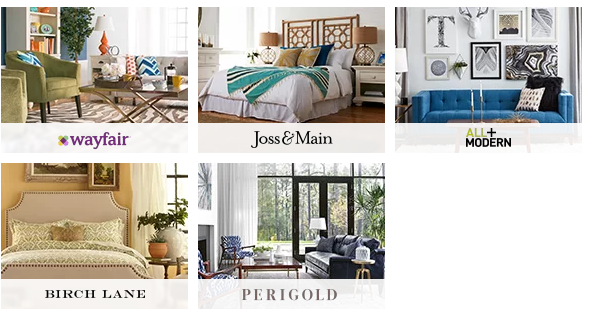 Joss & Main offers affordable discoveries for gorgeous living. The brand gives the Joss & Main customer the freedom to mix and match styles to create the look she loves. We offer an online shopping experience that evokes joy while revealing the must-haves and inspiring a unique look. Our curated selection appeals to women who express themselves with style and are always on the hunt for the next incredible deal. Style of Furniture: Fresh, feminine and trendy, Joss provides customers with a stylish variety and constantly changing selections. The Joss customer’s style is unique to her and not easily labeled. Customer: The Joss & Main customer loves shopping – it’s a hobby, it’s an escape, it’s a quest. She relishes that moment of finding “the perfect thing” to refresh her home. She is proud of her space and loves to show off and share. You know your readers best, and if your audience likes to stay on trend, then Joss & Main is the brand for them! Modern life is not simple, but AllModern believes that shopping for your home can be. That’s why we make shopping for it as easy as possible. Shop from home or on the go, find that sofa you saw on Instagram (but for way less), and get it fast. All furniture ships free (most in just two days), and we even offer in-room delivery and assembly. AllModern, it’s that simple. Style of furniture: All modern styles – Scandinavian, minimalist, mid-century, modern farmhouse, industrial, bohemian and glam. Customer: She’s a classic overachiever. She’s constantly searching for ways to improve, simplify, and add order to her life… like hacking her favorite Taco Tuesday recipe, Konmari-ing her closet, or finally turning that extra room into her office. Like us, she is super busy. She has a high-profile job, a house, a husband, and a baby (furry ones count, too). Because of that, she moves fast. She wants to feel smart and confident with every move and decision she makes. She doesn’t have the time (or patience) for comparison shopping, long shipping times, or any other nonsense. She just wants that couch she saw on Instagram, for way less, delivered by Saturday. You know your readers best, and if these characteristics describe your audience, then AllModern is the brand for you to share! At Birch Lane, home is the centerpiece. From the front door to the back porch, it’s all about stitching together something special. Don’t worry that coasters get forgotten and paw prints happen because perfect isn’t practical. That’s why we handpick classic furniture and decor that leaves room for living at a cost you can live with. Classic home. Comfortable cost. Come on in and give your life a place to live. 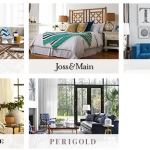 Style of furniture: Farmhouse, rustic, coastal, traditional – these are salt-of-the-earth, classic American styles you won’t have to try on to know they fit your vision of home. Customer: She thrives on her home being the place to gather for post-game snacks, holiday cocktails, movie night, and – her masterpiece – Thanksgiving. And even though her home is high-traffic, that doesn’t keep her from finding the perfect frame for the console and just the right pile height for an area rug. Delivering a feeling of home is her responsibility so she layers in looks that are timeless, tender, thoughtful, and evocative of the kind of comfort that only a true connoisseur of hospitality can share.